Julius Caesar and the 11 other Caesars of long-ago Rome, along with more than 400 other superb quality ancient and Papal coins from the unparalleled Tyrant Collection (www.TheTyrantCollection.com), will be publicly displayed together for the first time at the Long Beach Coin, Currency Stamp and Sports Collectible Expo, June 6-8, 2019. Entitled “Tyrants of the Tiber”, this will be the fourth exhibition in a multi-year series of different displays of portions of the extensive Tyrant Collection described as the world’s most valuable rare coin collection in private hands. 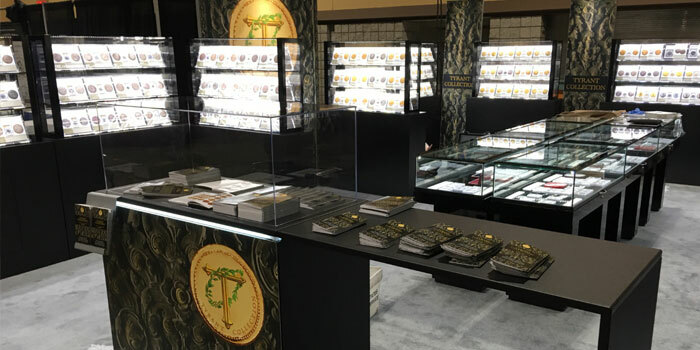 “There has never been such an extensive public exhibit of exquisite, ancient Roman gold coins in Southern California,” stated Ira Goldberg, President of Goldberg Coins and Collectibles, Inc. in Los Angeles, California. Goldberg is one of the numismatic professionals providing guidance in assembling the wide-ranging Tyrant Collection of superb quality, historic U.S. and world coins. 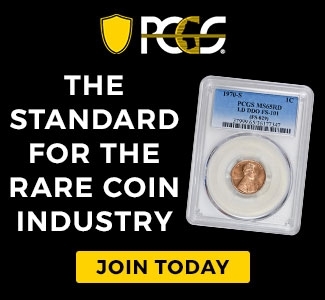 “This unprecedented display will encompass the tyrants of Rome from the earliest Roman Republic portrait coins over 2,200 years ago through the Imperatorial and Empire Periods, and ending with the fall of Rome and the invading tribes. In addition, since the Vatican practically sits on the Tiber River, this amazing exhibit will include the coinage of the Popes,” explained Goldberg. The entire Tyrants of the Tiber display will be insured for more than $30 million for its inaugural debut. T. Quinctius Flamininus gold Stater, ca. 196 BCE, of the first living person to be depicted on a Roman coin. This nearly Mint State example is considered the finest of only eight known. Brutus, Proconsul and Imperator, 42 BCE, EID MAR silver Denarius and probably the most celebrated of all the coins of ancient Rome. A portrait of Brutus is on the obverse with the reverse boldly exhibiting the celebration of the Ides of March murder of Julius Caesar. It is nearly Mint State and one of the finest examples in existence. Mark Antony and Cleopatra silver Tetradrachm struck in 36 BCE in Syria. Cleopatra VII, the last queen of the Ptolemaic kingdom, remains to this day a colossal figure of legend as much as history. It is superb Extremely Fine condition and possibly the finest known example. Otho gold Aureus. He reigned only from January – April 69 CE. Struck at Rome and perhaps the most difficult of the 12 Caesars to obtain in choice condition. The Tyrant Collection coin is a superb, nearly Mint State specimen. Ex Metropolitan Museum, New York, and ex Boscoreale Hoard, 1895. Romulus Augustus, October 31 – September 476 CE, gold Solidus of Rome depicting the last line of Roman emperors in the West. 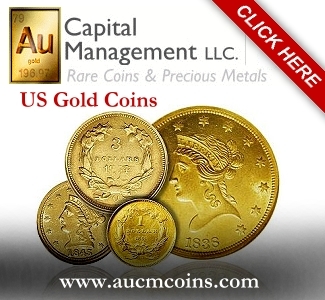 All the coinage of Romulus Augustus is scarce and the gold solidi are extremely rare. This nearly Mint State specimen is probably the finest in existence. Justinian I, 527-565, gold Solidus struck in Rome. During his reign, Italy was liberated from the Goths and North Africa was recovered from the Vandals. This very rare Roman mint example is magnificent Mint State. Pope Alexander VI, gold Doppio Fiorino di Camera, Mint State. Born Rodrigo de Borja and Pope from August 11, 1492 until his death on August 18, 1503. He is one of the most controversial of the Renaissance Popes, partly because he acknowledged fathering several children by his mistresses. Pope Innocent XI, extremely rare Quadruple Scudi d’oro, Nearly Mint State. Born Benedetto Odescalchi, his papacy was from 1676 to 1689. He is known in Budapest as the “Savior of Hungary”, and much of his reign was concerned with tension with Louis XIV of France. Pope Innocent XII, Quadruple Scudi d’oro, Mint State. Born Antonio Pignatelli, his papacy was from 1691 to 1700. Innocent XII appears as one of the narrators in Robert Browning’s long, 1869 poem “The Ring and the Book”, based on the true story of the Pope’s intervention during his papacy in a famous murder trial in Rome. The owner of The Tyrant Collection wants to remain anonymous while he shares the collection’s coins with the public for their educational value. Visitors to the June 2019 Long Beach Expo exhibit (booth #1540) can receive a free, illustrated educational booklet about this latest, amazing display. Detailed catalogs with information and illustrations about each coin in the “Tyrants of the Tiber” exhibit will be available for $10 each. The Long Beach Expo will be held in the Long Beach, California Convention Center at 100 S. Pine Ave. Public hours are Thursday and Friday, June 6 and 7, from 10 am to 7 pm, and Saturday, June 8, from 10 am to 5 pm.